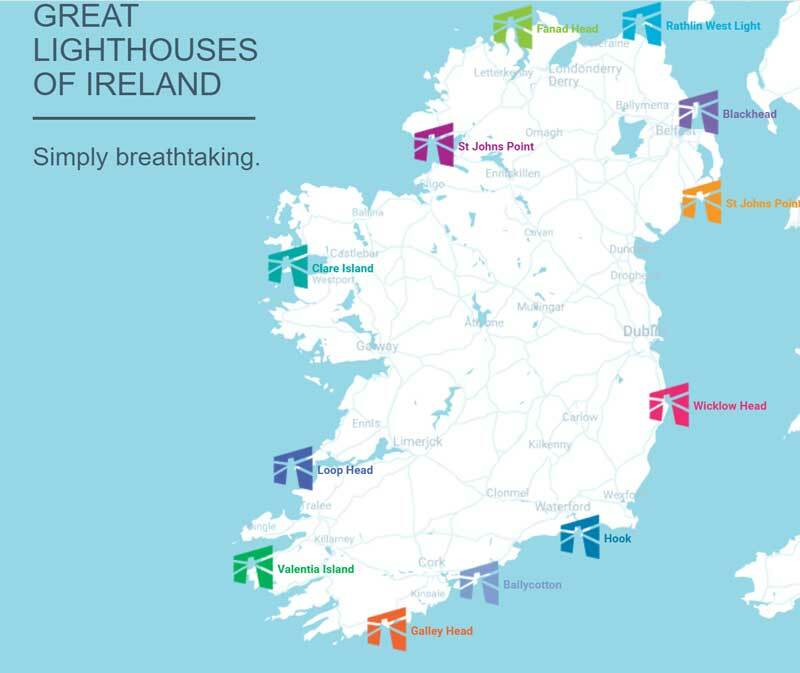 Great Lighthouses of Ireland is an initiative by Irish Lights working in cooperation with local partners around the coast – north and south – to bring together 12 of Ireland’s most spectacular working lighthouses, under the ‘Great Lighthouses of Ireland’. Being a part of this project is a wonderful way for Hook Lighthouse to celebrate and protect the history, tradition and heritage of our lighthouse and work within a partnership to tell that story, alongside showing visitors what we do today. Lighthouses are just one of a suite of marine aids to navigation provided by Irish Lights. Their core function is and always will be safety at sea. However advances in technology and automation means that, much of the old physical infrastructure at lighthouse stations is no longer required for core operations. Each working lighthouse in the Great Lighthouses of Ireland partnership now also operates as a visitor destination in its own right, so you can either visit and have a guided tour or stay at the lighthouse. Each lighthouse offers a distinct and unique experience true to its own history, heritage, people and place. Great Lighthouses of Ireland partners include the Commissioners of Irish Lights, Irish Landmark Trust, RSPB NI, Forbairt Fhanada Teoranta (Fanad Community Group), Hook Heritage Limited, Clare County Council, Ballycotton Island Lighthouse Tours, Mid & East Antrim Borough Council, Valentia Island Development Company and Clare Island Lighthouse.